I’ve been working hard behind the scenes on rebranding and generally refreshing my website. It is fair to say it is taking a little longer than I hoped, designing for yourself can be a nightmare and you can end up not making any decisions at all! However…lots of new designs are being developed and finalised, custom collections are gathering and generally lots of pretty paper has waited long enough. 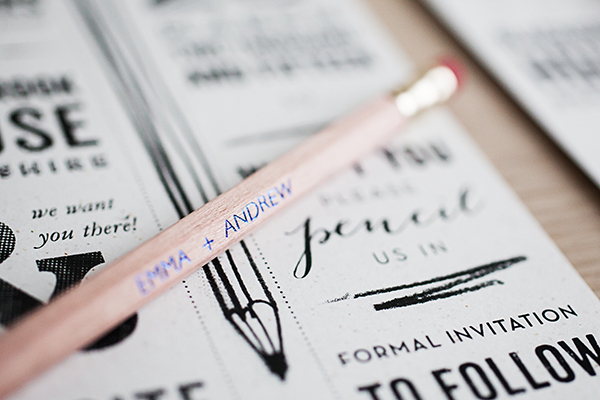 So just to satisfy my urge to share some new stuff, here’s a peak at one of my new designs ‘Pencil Us In’ a save the date card complete with personalised, hand foiled pencil. Along with a handful of other pieces, they have been waiting patiently for me to get a move on and officially launch them on my website. It won’t be long now… promise. 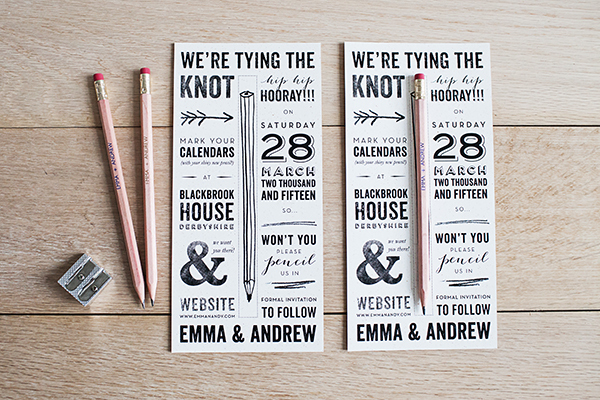 So send your guests something different with these fun save the dates. They are useful, eco friendly and who doesn’t love a pencil! These save the dates are printed on our special, 250gsm board which is made from around 60% recycled beer labels. This yummy board is off white in colour with tiny brown flecks highlighting the lovely eco friendly qualities. 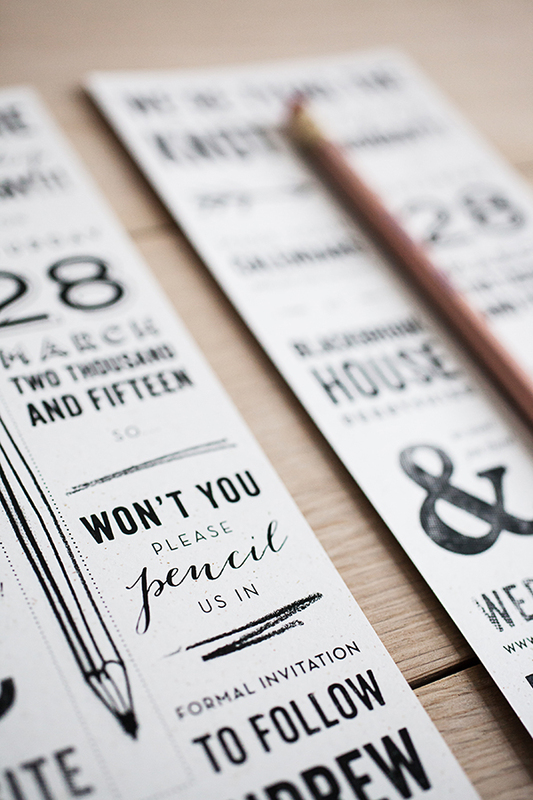 The design features fun wording with original illustrations and typography. Nice.